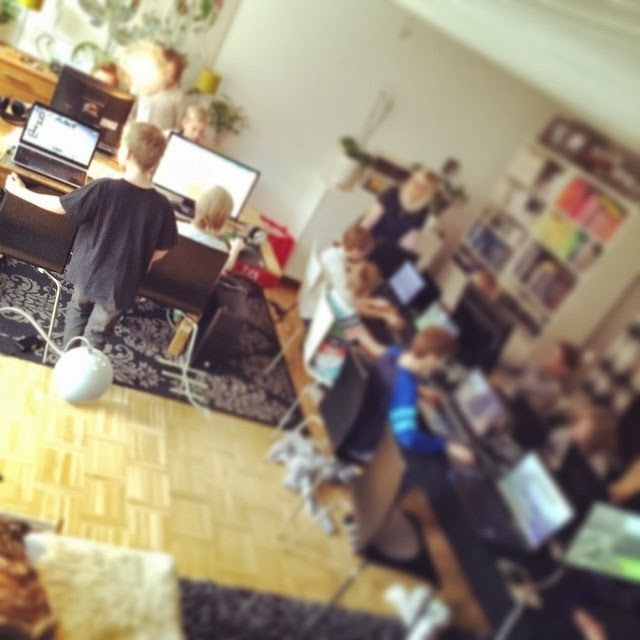 My ten-year-old and his best friend had a Minecraft-LAN today (with a lot of help from me). Since it were our first experience of a LAN with more than 3-4 players I set up most of the stuff. But next time I will involve the players a bit more. I think its an excellent opportunity to educate them in a range of different areas of digital medias. Basic IP and network stuff, basic hardware, basic online hazards, social media netiquette and also a bit of coding. There were 15 players today, in our living room, which was a three to much, but only because of space. The tables was not really big enough. I guess we will arrange another one before the summer and at that time also integrate both formal and informal learning around growing up digitally.